Our team strives to give the highest quality service at the best possible price. Technical services are $115 per hour, billed in six-minute increments. Mileage and travel time are charged at a rate of $1.57 per mile from our facility on Shelter Island to your vessel, including any stops to obtain parts and equipment. Parking fees will be added, when applicable. Parts are sold at West Marine retail pricing, dealer retail, or through Amazon pricing, plus shipping, plus 15%. 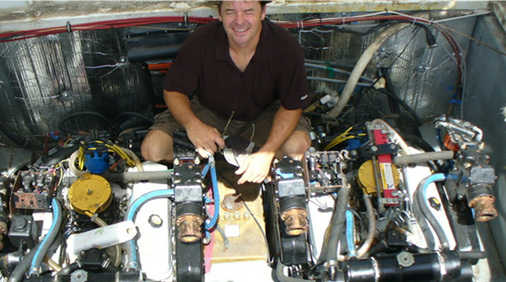 We are happy to install parts that you purchase if they are left for us on the boat. A preparation fee of $38.65 may be required to protect your vessel, which includes floor covering, taping, oil rag, and diaper.